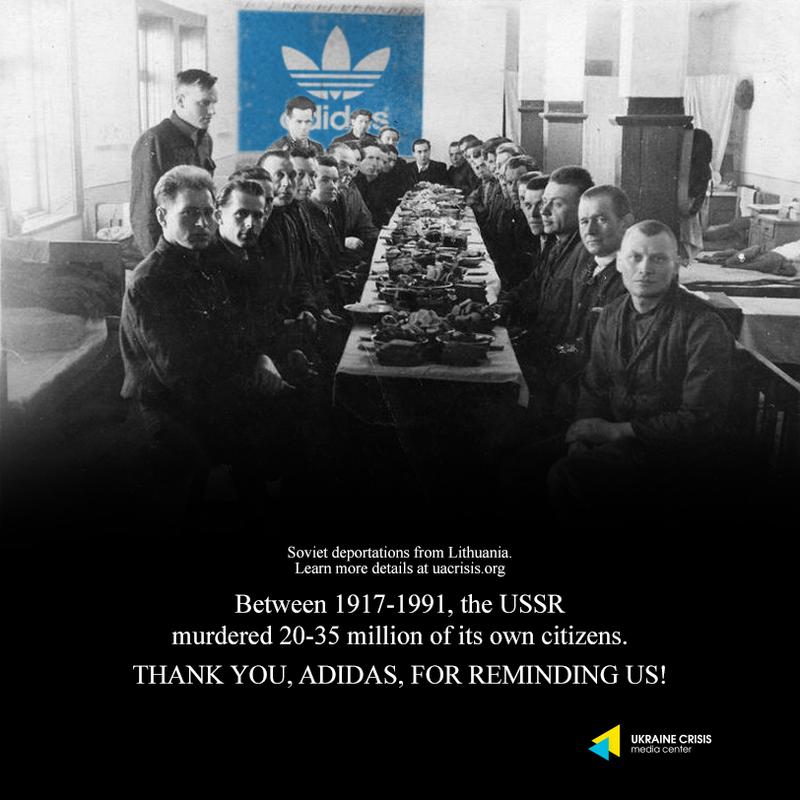 Having in mind the fact that Adidas still refuses to withdraw its ‘USSR’ clothing line and publicly apologize for it, UCMC publishes its twentieth visual reminder to the company. In 1941 and 1945–1952, Soviet regime carried out a series of mass deportations in Lithuania displacing at least 130,000 people, 70% of them women and children, to labor camps and other forced settlements in remote parts of the Soviet Union. The displacement served a double purpose: to repress resistance to Sovietization in Lithuania and provide free labor in sparsely inhabited areas of the USSR. In addition, approximately 150,000 Lithuanian partisans and political prisoners were deported to Gulag prison camps. Approximately 28,000 of the deportees died in exile due to poor living conditions.